A look that works great for chillier autumn days is a lightweight turtleneck sweater under your suit jacket. 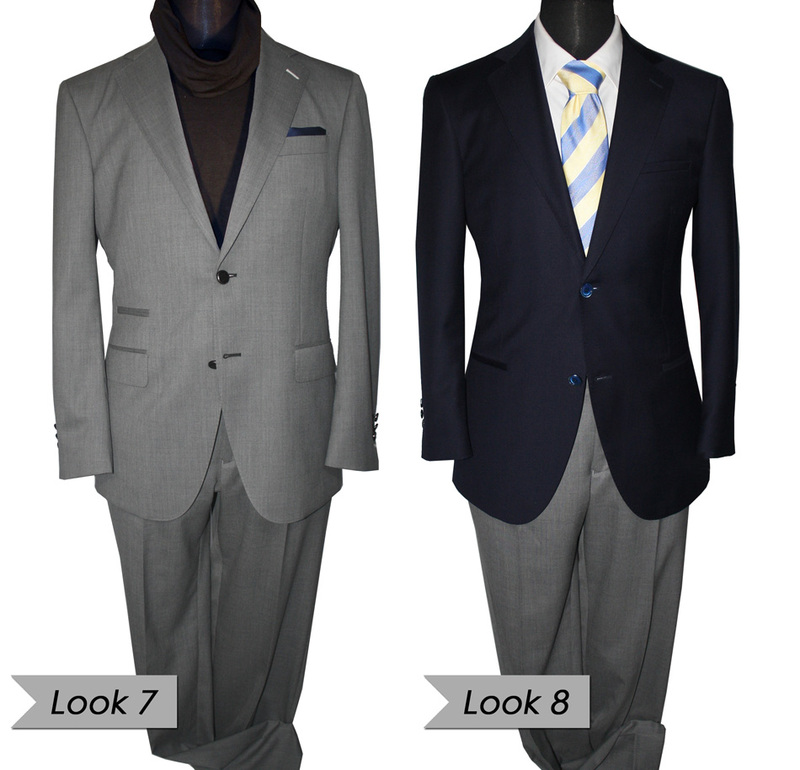 Choose a shade that compliments the color of your 2-piece suit. Black and grey are always a stylish and safe bet. Forget old school tailoring rules: for this look we’re splitting up your grey 2-piece suit and using the pants with a different suit jacket. Combining jackets and trousers from different suits allows you to mix ‘n’ match and create a memorable look within the dress code. Watch out when you’re mixing colors. Your grey pants and navy-blue jacket make a great timeless combination.